Let’s recreate a Pride Facebook Rainbow Effect in Adobe Photoshop. So firstly, open your image with Adobe Photoshop. For that, you have to go through the steps below. A rainbow flag image. You can search in Google for rainbow flag and download it. 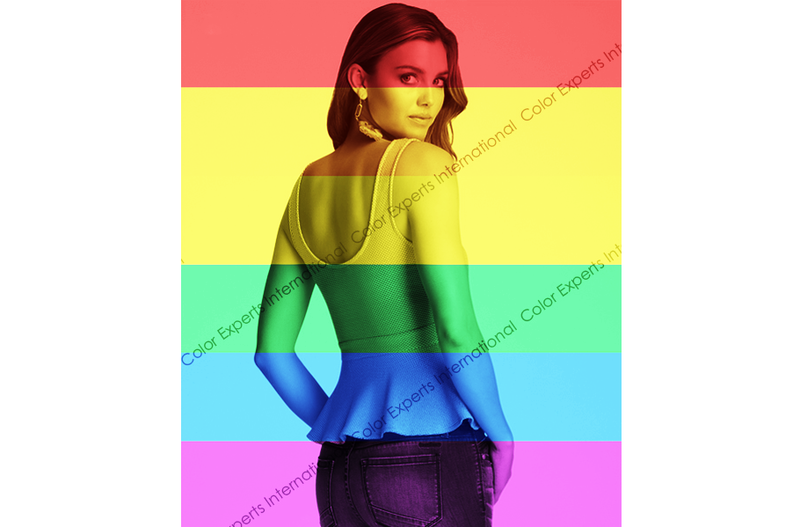 Now you have to open your base image file where we can implement the pride rainbow effect as you seen in Facebook. Let’s create a Fill or Adjustment layer with Black and White color for the main image. Now you have to place the downloaded rainbow flag into the Photoshop file. Go to files> Select Place Embedded (This command is available in Creative Cloud version. But other Photoshop versions have the Place button on files menu)> Then Select your Rainbow Flag image. Now you have to resize the image. For this, you have to use keyboard shortcut (Ctrl+T) and it will select your layer image. Now use your mouse for resizing it with your main image. Then, on the layer panel, change the color setting to Hard Light and Opacity 50%. In this step, you have to select the base image and make a duplicate layer. Now place it above all the layers with black and white adjustment layer effect just like main layer effect. Then clip it for just below layer (Please check out the Gif image below). Now here you have to select the copy main image layer and make color adjustment> multiply with the desired opacity (50%). This will be our final step. Here we will bring the contrast. Now here you can adjust your desired contrast level (Make it an “S” shape level). This tutorial is prepared by Color Experts International.